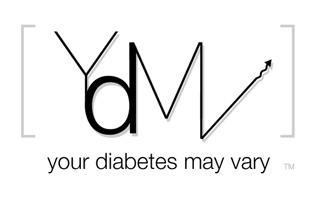 Your Diabetes May Vary: Doing The Right Thing. J&J Donates a Million Strips. Doing The Right Thing. J&J Donates a Million Strips. It is often all too easy to be skeptical. To balance that I think it is useful to appreciate people who do the right thing. Sometimes that is easy too. Today for example the folks at J&J diabetes announced that they will donate one million strips to the International Diabetes Federation's (IDF) Life for a Child program. "This donation will enable up to 1,300 young people with diabetes in these seven countries to monitor their blood glucose at least twice daily for about a year. Many of these children have never had access to a meter before – so this will be a tremendous support to them." PR Newswire (http://s.tt/1t5Do) - Dr. Graham Ogle, General Manager of Life for a Child. I think there are a lot of people in industry that do the right thing. I think they do it because it is the right thing to do. The right thing can be teaching at a camp, joining a walk and it even be donating a million strips. I think we in social media have a responsibility to recognize these when we see them. Particularly if we maybe critical at other times. Yes. Industry is for profit. They need to be profitable to keep doing the right thing. I include in doing the right thing selling testing supplies and developing better tools. I don't have a problem with the system. That is their job. I hope they are successful and keep doing it for a long time. I am also thrilled to see them sharing from that success with people who can't buy supplies. I lift my glass and toast the team at J&J today. Cheers. P.S. Don't think this means you get any slack if one of my kids' pumps breaks. A Few Science Bits Stem Cels & Nano Particles.